2 inch sheer horizontal Shangri-La shades are unlike any other window shading available because they can be raised with the vanes still open. These shades give a clean, simple look to your windows and they’re the perfect window treatment for your home or office. 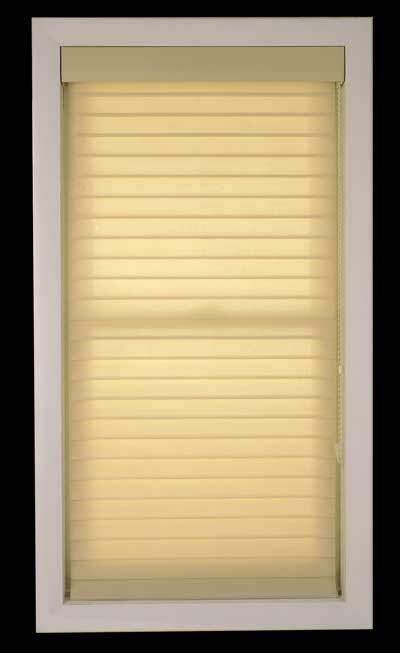 Made from 100% polyester, you can select from eight different classic colors and they can be made to fit a variety of window sizes. Get a deluxe fabric covered headrail and all necessary mounting hardware with your purchase. BlindsOnline.com is proud to offer high-quality Shangri-La shades at wholesale prices. Homeowners require blinds that are crafted uniquely to their home room sizes. And so we’re offering our Shangri-La Shades in a flexible breadth of sizing options. The product is available with a minimum width of 12 inches and a maximum width of 114 inches. Homeowners can rest assured the product will be customized precisely to their unique requirements when working with our team here at BlindsOnLine.com. 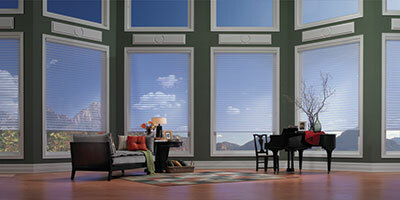 The vanes are not the only element of the product to consider when selecting new blinds for the home. It’s important to analyze the quality of the head rail to ensure it offers durability and high level aesthetic value. We’ve integrated a deluxe fabric-covered head rail with our Shangri-La Shades to ensure a product design that naturally blends with the décor of the home. 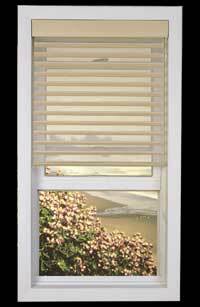 Unlike many of the other retail firms within the blinds manufacturing field, BlindsOnLine.com thrives on providing quality products at affordable pricing. Our Shangri-La Shades have been fabricated in the United States by vendors that follow US rules regarding production quality and product safety standards. This mean that customers can rest assured each element of their blinds will be built to the highest possible market standards. "I like Shangri-La shades because I can set them to be see-thru or full privacy"